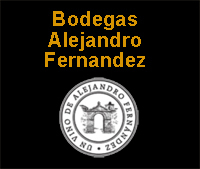 Bodegas Alejandro Fernandez? Order Alejandro Fernandez wines easy! Alejandro Fernández a self-made man. It is often said that childhood shapes an individual’s future, and every year from being a boy, Alejandro, following family tradition, learned from his father to make wine using grapes from small vineyards. He is the perfect example of the self-made man. A man who, in his youth, and while holding down various jobs, nurtured his dream of one day running a bodega. However, he had to wait until 1972 to have his own bona fide bodega; a modest 16th century stone-built bodega, from where almost all the winemaking process was carried out. Although at the beginning things were not easy, in the 1970s time finally proved the committed and determined young Alejandro Fernández right. After 10 years of hard work, the modest 16th century stone-built bodega planted the seed for what was to become one of the most prestigious bodegas in Spain. Nowadays, the result of such an extraordinary endeavour is appreciated worldwide. The Tempranillo vineyards, the “queen of grapes”, the delicate variety so skilfully mastered by Alejandro, furnish the Castilian soils that are watered by the River Duero. The vines, which are always trained on low espalier trellises, "to better capture the heat from the ground" are factories of sensations and pleasures that are passed on to his wines. The vines grow in poor, well-drained soils, composed of sand and gravel over a limestone and clay subsoil, an ideal combination for rootstock. With the help of the wind, the rain and the sun the plants manufacture aromas and flavours beset with nuances, which they deftly amass in the grapes. From his 200 hectares of breathtaking vineyards, Alejandro makes wines in which the wood has great respect for the fruit. Over time, the wines become more complex and nuanced without losing their original character; a phenomenon that has made the name Tinto Pesquera synonymous with fine wine from Ribera del Duero.